Matthew d'Ancona, a columnist for the Guardian, has criticised companies for treating women with children as if they have made a lifestyle choice similar to buying a pair of shoes. The Guardian’s political columnist was speaking at last night’s She’s Back event, which discussed the barriers to women returning to work after maternity leave. When discussing the historical culture of businesses, d’Ancona said: "Having a baby was often seen as a lifestyle choice – like buying a pair of shoes. There was a feeling that if a woman chose that, then she had to live with the consequences." He said there’s been a "primitive" breakthrough in the past few years: "The more men that get involved in childcare, the more everyone realises that a child has a longer shelf life than a pair of Louboutins and [their care] involves more than one person." He was on a panel with Cilla Snowball, Abbott Mead Vickers BBDO’s group chairman and chief executive, Richard Punt, the chief executive of Peerpoint Allen & Overy’s contract lawyer business, Unruly’s co-founder and chief operating officer Sarah Wood and Averil Leimon, the director of White Water Group. 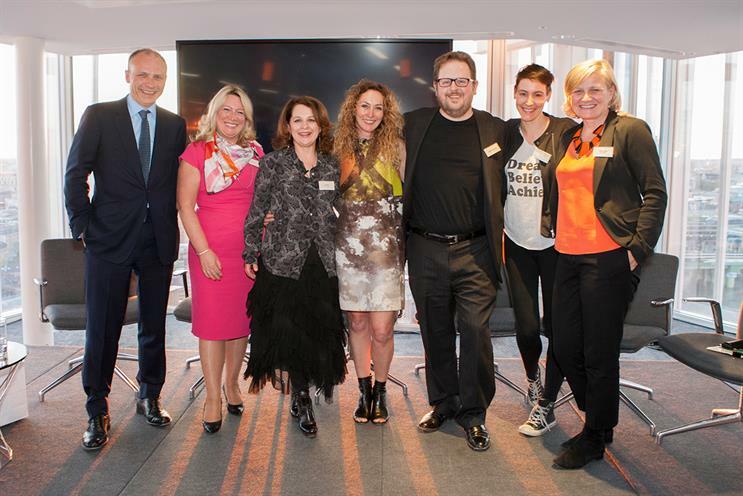 The evening was held at News UK's London Bridge headquarters and the organisation is supported by DLKW Lowe among others. Research conducted by She’s Back found that 88 per cent of women said the most important thing they needed when they went back to work was a manager who wants them to succeed. While leaders often say the right things about being supportive to women, Lisa Urwin, the co-founder of She Says, said this often does not translate throughout the company. She said the managers four levels down may have incentives – for example, bringing in the largest fees – and supporting women through maternity leave is not on their agenda. "It’s not good enough to have a flexible working policy if no-one uses it," she said. She’s Back research showed that women did not tend to stay in touch through alumni networks. Urwin said: "When women leave, they leave," yet the vast majority of these women wanted to return to a career. Snowball said businesses needed to find a non-intrusive way of staying in touch with those on maternity leave. White Water Group is currently working with a bank on how to bring more women back into the workforce. But Leimon said she found that no-one in the company had even discussed the concept of a career with the employees who were currently pregnant. She said while there may be lots of talk on the issue, it has not gone beyond an intellectual discussion into behaviour change. Punt said: "Acknowledging the problem is the starting point. Companies invest a lot of money into recruiting women, but they put absolutely no effort into bringing them back." Allen & Overy is trying to redress this by launching 12 six-month placements for women who have taken a career break. The placements will offer intensive training and experience to help them back to the industry. It will be the first major firm to try it in the UK. Creating a more flexible working environment would also benefit men, those who are looking after sick parents and younger generations of workers. Punt said the senior partners were surprised to find that the majority of the firm’s consultants – working on contracts rather than permanent employment – were men. He said the attraction was "not so much flexibility but control over when and where they work, and with whom." D’Ancona agreed. "This is all too easily bracketed as a touchy, feely issue. There’s a tendency to categorise the issue in a condescending way." He said the way it was dealt with reminded him of the 1980s "something for the ladies" ad for lager brand Castlemaine XXXX. The spot shows men over-packing a van with crates of beer and they put two bottles of sweet sherry in "for the ladies". When the van collapses under the burden, the character says, "Looks like we overdid it with the sherry." D’Ancona argued: "Procreation isn’t that new a phenomenon, we should have got to this earlier. There has to be an assumption that a large portion of the workforce will go off for a period of time and you need a very developed way of bringing them back in." The panel discussed the concept of IPA/Campaign’s new league tables, which will ask IPA member agencies to submit data on the ethnic and gender make-up of their businesses. Similar data already exists on legal firms. Snowball said: "You can’t manage what you can’t measure. Each company should know what percentage of women are in their business at all levels. We do need league tables to name and shame companies. It’s worked with female representation on boards." This will also help women make a decision about whether a company will be a good employer and is worth joining. Snowball argued that there needed to be more role models for women – both for those with children and those over 50s who may be dealing with sick parents. Wood said these role models need to be relatable not just the superwomen at the very top of a company. She said: "Women need to see a peer who is one or two years above them coming back and managing it." Snowball said: "Family always comes first, but you can have both a family and a career and be happy and not turn into a machine."